Visitors come to Singapore to shop or to learn about other cultures, to close a business deal or attend a conference. A century and a half ago, though, one of Singapore’s most interesting guests came to collect beetles. In the process he changed forever the way we look at our world and ourselves. The man with the passion for Coleoptera was Alfred Russel Wallace, a Victorian-era naturalist/collector/philosopher who is noted in scientific circles for his work in taxonomy, biogeography, island biology, and for developing, independently of Charles Darwin, the theory of natural selection. Surprisingly, and reassuringly, Singapore’s forests, which so impressed young Wallace, still harbour unusual new creatures. One doesn’t usually think of passion as evolving from the discovery of a new species of butterfly or beetle. But Alfred Russel Wallace found pleasure in small things, and his favourite beetle-hunting ground during the eight years he spent in Southeast Asia was Bukit Timah, today Singapore’s flagship nature reserve. Sponsored by the Royal Geographic Society, which approved his application to “[investigate] the Natural History of the Eastern Archipelago in a more complete manner than has hitherto been attempted,” Wallace first made Asian landfall in Singapore on April 20, 1854. He made the island state one of his base camps, visiting at least four times during his collecting trip through what are now Singapore, Malaysia and Indonesia. This landmark voyage netted him 125,660 specimens, including some 900 new species of beetles, 200 new species of ants, 50 new species of butterflies, and 212 new species of birds. One can imagine the gangly, socially naïve, self-taught biologist, his clothes formal, scratchy and worn, his beard scraggly, his John Lennon-like glasses twisted and hanging precariously from his nose, scraping through the bark of a fallen tree in search of beetles. He rummaged through the undergrowth partly out of scientific curiosity, and partly to pay his expenses, since a certain segment of the stay-at-home cognoscenti in England paid well for pickled wildlife. “In about two months I obtained no less than 700 species of beetles, a large proportion of which were quite new,” he wrote. There is no shortage of naturalists in today’s Singapore, where the country harbours a biological diversity totally out of proportion to its size. What is surprising is not that Singapore has lost a lot of its biological diversity – 106 bird species have become extinct in Singapore since 1819, for example – but that its forests and mangroves still conceal so many undiscovered natural treasures. Alfred Russel Wallace observed “the island of Singapore consists of a multitude of small hills, three or four hundred feet high, the summits of many of which are still covered with virgin forest.” As I drive to Bukit Timah, amidst the ordered urbanisation of Singapore’s highways, housing and industry, I am surprised to arrive at the Bukit Timah Nature Reserve and be surrounded by tropical forest. I huff and puff for twenty minutes to reach the top of Bukit Timah [literally “Hill of Tin”, probably a European misunderstanding of the Malay name for the Shorea genus of tall rainforest trees, pronounced temak] and you can see the surprising extent of forest remaining in Singapore. This is Singapore’s central catchment area, which protects the country’s reservoirs. These ecosystems are so diverse that David Bellamy, the outspoken British botanist, remarked “There should be a sign in [Singapore’s] Changi Airport that says, ‘We have a piece of forest with more plant species than the whole of North America!” While this statement exudes some Bellamy-esque hyperbole — Singapore certainly does not have more plant species than North America, but it is nevertheless likely that Bukit Timah does have more plant species diversity per hectare than any forest north of Mexico – it does introduce the concept that there are wonders in Singapore waiting to be discovered. Peter Ng, associate professor at the Singapore National University, and director of the Raffles Museum, recounts some of the discoveries he and his students have made while shuffling through the rainforests of the country’s interior, and the mangroves of the coast. Note that several of these creatures are not simply new to Singapore – they’re new to science. Imagine a small stretch of a small stream of a small forest in a small industrialized country (Singapore is only about a third the size of Greater London), and you begin to get an idea of how impressive these discoveries are. Ng’s “all time favourite” discovery came in 1990. In 1988 he wrote a book on the freshwater crabs of Peninsular Malaysia and Singapore in which he recorded five true freshwater crab species from Singapore, including two endemics. “I was pretty confident I had found all the freshwater crabs there were to find on such a small island with so little forest,” Ng says. “But in 1989 a student showed me a photograph of a crab from a small patch of swamp forest in the centre of the central catchment, from an area I had sampled before. The animal looked rather odd, with a rather unusual colour pattern, but I was rather sure of myself then and dismissed it merely as an extreme variant of a common species found there, Parathelphusa maculata. Some months later, I got a specimen of this ‘variant’ myself, and doubts began to surface in my mind about its presumed identity. But the specimen was a juvenile, and I had to get an adult specimen to be dead sure that it was a new species. The student and I subsequently visited the swamp many times, often in the middle of the night, to find this elusive animal; we even sacrificed our New Year’s Eve in 1990 in an attempt to find specimens. They are so secretive. By day, they hide in deep burrows in soft mud and are virtually impossible to dig out. The adults only come out in total darkness in the middle of the night, especially during moonless nights, and even then, they crawl slowly in shallow streams, underneath very dense leaf litter. This behavior, coupled with their well-camouflaged colour patterns, make them almost impossible to see. We finally learned how to catch them, though, by grabbing any clump of submerged leaves that moved. As it turned out, I had been wrong. It was a separate species after all, and to beat everything, it was new to science. I named it Parathelphusa reticulata for its beautiful carapace pattern. Moreover, this species was endemic to Singapore. As later studies showed, it is found only in a five hectare patch of swamp in Singapore, and nowhere else on this planet. This is a reasonably large crab, about 35 mm in carapace width. So if something like this could have been missed for so long, heaven knows what else we are still ignorant of in the catchment. This experience was a humbling one for me – I’ll never again be complacent about biodiversity, even in Singapore. Is the Bukit Timah Nature Reserve the same today as in Wallace’s day? Nevertheless, Bukit Timah’s ecology has changed during the ensuing 150 years, according to Peter Ng. Travel during Wallace’s time was hazardous — pirate attacks were so frequent that in 1854 it was alleged that only half the Asian craft from the Malay archipelago succeeded in reaching Singapore. In 1854 more than half the Chinese adults in Singapore were opium addicts and there were so many foreign prostitutes on the island that the Straits Times complained that there were almost as many whores as respectable women among the European female population. The first telegraph line was laid between Singapore and Batavia [today Jakarta] in 1859, the year Singapore’s first dry dock was built. The commodity exchange listed opium ($385 per chest), ebony, and Turkey red chintz; Cursetjee & Co. advertised a new stock of Glenlivet whiskey and Johannisberg hock. The Singapore sense of commercial opportunism and boosterism still thrives, of course, and during 1993 Singapore’s scientific community was abuzz with reports that an “Aids-tree” was growing in the intact rainforest occupying a corner of the Singapore Botanic Gardens. The “Aids-tree” story began across the South China Sea in the Malaysian state of Sarawak, on the island of Borneo. As part of a routine search for plants with anti-viral properties, a researcher from the U.S. National Cancer Institute took samples from a Calophyllum lanigerum tree. In laboratory tests, the plant’s chemistry proved promising in arresting HIV, but when the scientist returned to Sarawak for more samples he found that the site had been cleared for logging and that all the relevant trees had been turned into plywood. Hearing of the researcher’s dilemma, and no doubt quite aware of the coup he might pull off, Tan Wee Kiat, executive director of the Singapore National Parks Board, which manages the Botanic Gardens, told the American scientist that the tree was relatively common in Singapore. CNN and other international media picked up the attractive story that an “Aids tree” was growing in the Botanic gardens, a short walk from Singapore’s fabled Orchard Road, one of the world’s epicentres of consumerism. Unfortunately lab tests showed that the Singapore variety of Calophyllum lacked the medicinal punch of its now-deceased Malaysian relative and the story was quietly dropped. The last tiger in Singapore has long gone (the pool table of the Raffles Hotel was apocryphally the Singapore tiger’s final refuge), but Bukit Timah is still home to many of the beetles that so fascinated Wallace. Locally-based biologist Ian Turner estimates Singapore’s potential insect species at between 10,000 and 73,000. 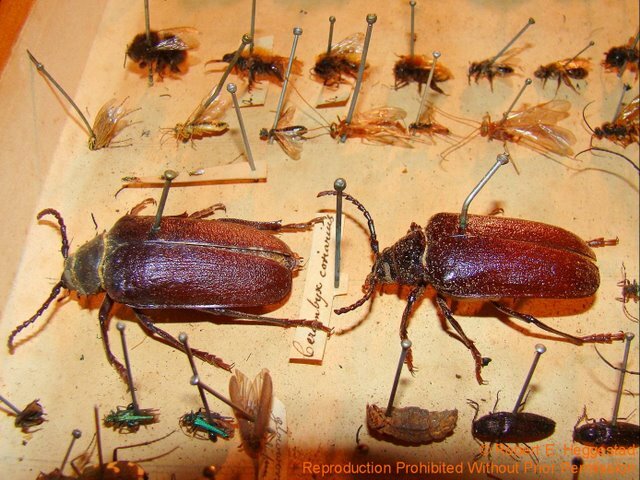 An authoritative estimate of insects at Bukit Timah by local entomologist D.H. Murphy includes 10,000 species of beetle, 200 ants and 200 cockroaches.